Use the category menu bar to the left or the category banners below to browse our site. WAIT, There's More! — Use the slide menu below to browse additional categories. Welcome to Installation Parts Supply.com, we are glad you made it here today and are enjoying a beverage of choice while shopping, Cheers! Our love of Coffee, Tea, Espresso, BEER and Beverages, fueled our passion for this industry in the 90’s. Thus, IPS has everything you, the industry service professional needs for the complete Installation of Equipment for Brewing and for Dispensing. May we recommend creating an account? When you do, you can track your purchases & history, re-order from history, save multiple ship to addresses, be eligible for custom pricing and check-out options, rewards, etc. FYI, we are serious about your privacy, so do not worry, we will never share info. IPS has been around for a while and we are trusted by America’s most prominent names in Food and Beverage, we hope you will too. 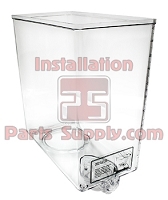 The Professionals choice for Commercial Grade Beer & Beverage Installation Supplies since `95.